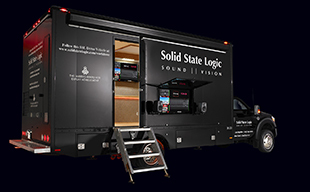 LOS ANGELES, CA  Solid State Logic, the worlds leading manufacturer of analogue and digital audio consoles and provider of creative tools for music, broadcast and post production professionals, is pleased to announce the appointment of Katy Templeman-Holmes to the position of Broadcast Sales Manager. Templeman-Holmes will focus her sales efforts on call letter TV stations in the Western region and will be based at SSLs LA office. She has over five years of diversified experience in the professional audio and broadcast industries. Templeman-Holmes extensive experience in both the broadcast and post-production sales markets makes her the perfect addition to SSLs growing team. Templeman-Holmes comes to SSL from Euphonix Inc., where she oversaw sales and customer service for the broadcast, post-production and music markets. Prior to Euphonix, Templeman-Holmes worked as a continuity production coordinator for Premier Radio Networks where she supervised both Clear Channel and Fox Radios international multimedia data bank. She also worked as a broadcast technical operator for Trans World International and as a broadcast journalist and board operator at Kestrel FM, both of which are in the UK. Templeman-Holmes earned a B.S.c in Media and Broadcast Technology from the University of Surrey where she was awarded First Class Degree and Broadcast School Valedictorian.